Coordinating personal training for various sports with coaches throughout the world can be more than challenging. The My Trending Coach App streamlines the process allowing athletes to login, pull up a calendar of a coach to see availability, and book their session. 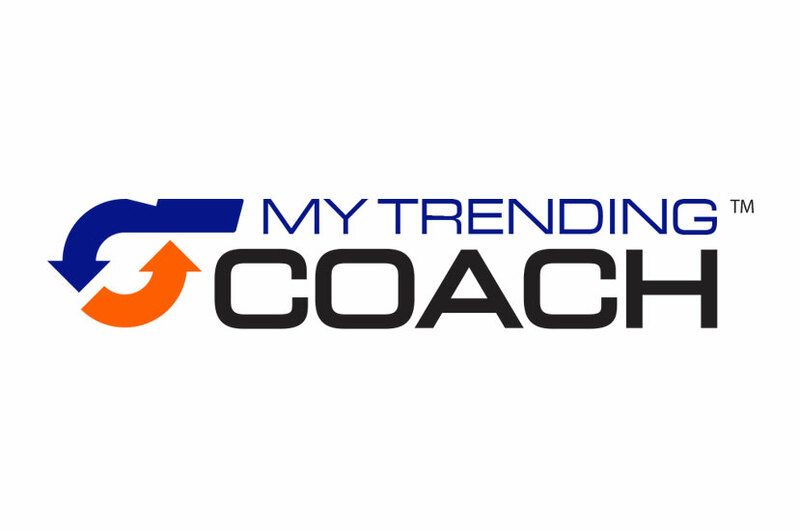 The My Trending Coach logo design reflects this fluid movement. Bright, contrasting colors make a statement of power and high energy in this design. Arrows indicate forward motion and momentum, encouraging app users to get up and get working. We used gritty sans-serif font to convey the grit it takes to get motivated and work out. This typography also gives the logo an overall sporty feeling.